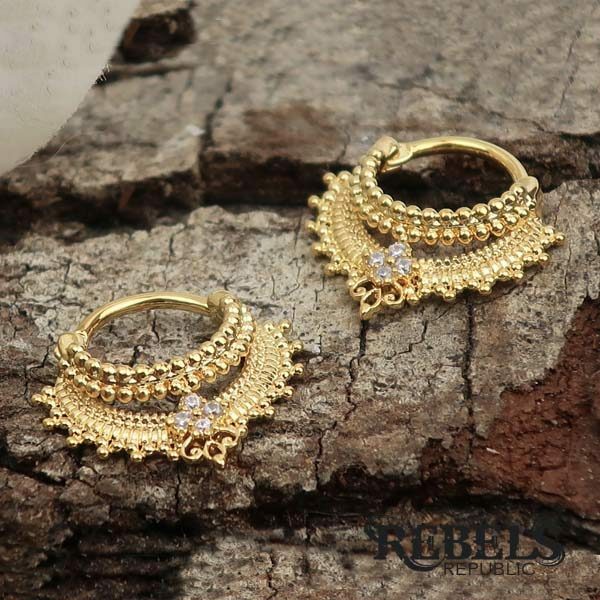 This opulent Sheba septum ring has an 1.2mm (16ga) gold plated brass ring and a gold PVD coated stainless steel pin for extra durability. 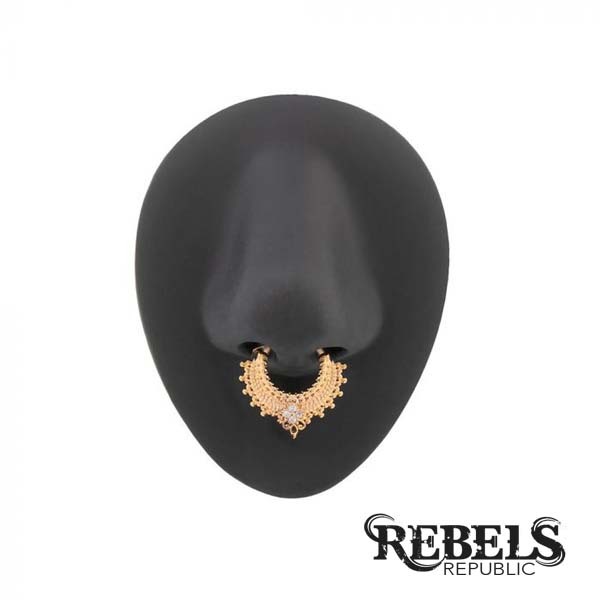 My favourite septum ring in my collection – Love this soooo much! !